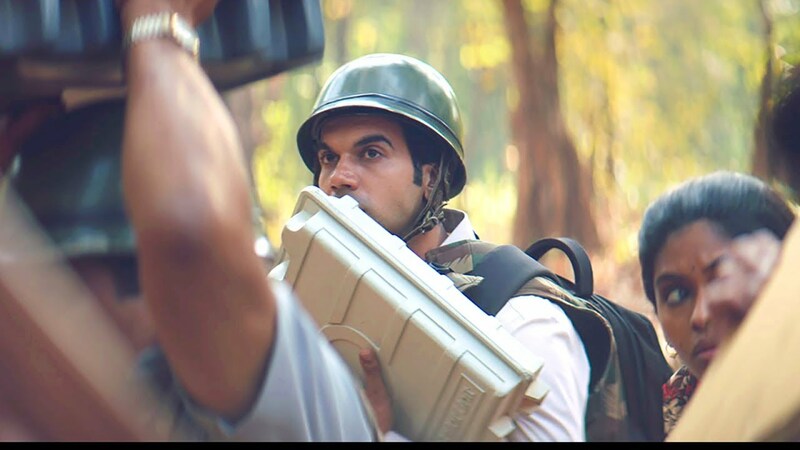 Rajkummar Rao is Ready to Amaze the Audience Again with 'Newton', Trailer Out! Rajkummar Rao is undoubtedly one of the finest actors in the industry currently. His panache only increases with each role that he plays and you can't help but admire his ability to get into the skin of each of his characters and play them with both ease and conviction. And commendable is his choice of roles that are varied and never fail to excite! After astounding the audience with his recent success, Bareilly Ki Barfi, Rajkummar is back in and as Newton. It's a coming-of-age story of an honest and righteous man who vows to change the world around him. The film has already won top honours at many international film festivals, and finally, this Amit V Masurkar film has made its way to India. The uber talented cast also includes Sanjay Mishra, Raghubir Yadav and Pankaj Tripathi along with Rao and is bound to be promisingly stellar! The trailer guides the story of Newton who is sent on election duty to a Naxal-controlled region that's under constant tension. His will and efforts to withhold his principles and to change the way things work around him pave the path for the rest of the tale. The film comes out on September 22.